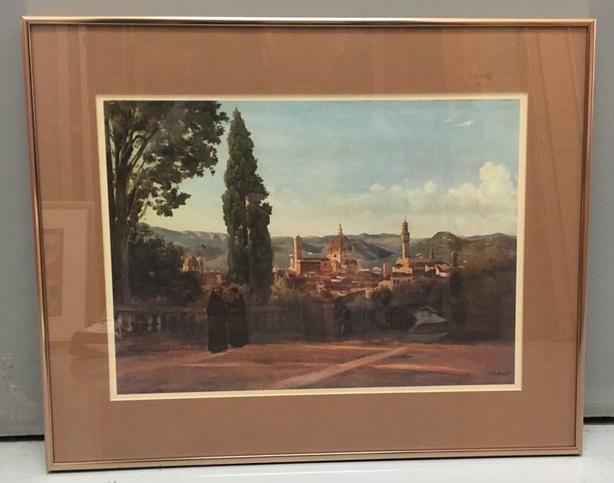  Log In needed $30 · Camille Corot (1796-1875), Print of Florence,from Boboli Gardens 16" x 20"
Camille Corot (1796-1875), Print of Florence, View from Boboli Gardens. Framed with matting and glass. Size: 16" x 20"